Watanut… What a Nut? Want a Nut!? While it may confuse you at first in terms of how to pronounce or what it means… Watanut is a delicious mixed-nut snack subscription delivery service! 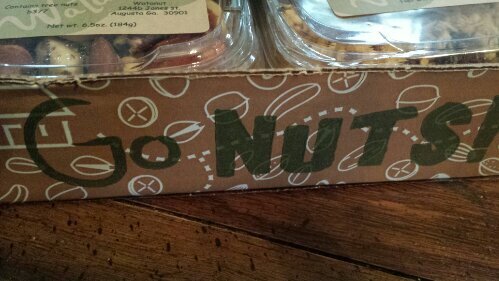 Those with nut allergies beware; this is not the box for you… Oh well, that means more for me! I heard about this new foodie subscription box and was intrigued because not only was it healthy (nuts are full of protein, antioxidants, etc. ), and has many different varieties, but also because of the size of the packages as well. 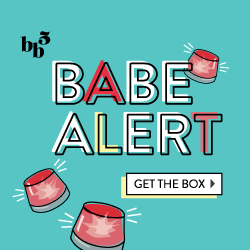 The boxes run at $25 per order, or if you sign up for 3-month or 6-month deliveries, they’re a dollar or two cheaper. While this may seem expensive for a food box, you’re getting 4 -6 oz. containers of quality product… and nuts don’t run cheap. Oh, and there’s a promo code down at the bottom of the post! One of the things I love about Watanut, which a few other companies do as well, is they want to service community They are partners with their local Boys & Girls Club to provide at-risk youth a safe place to learn and grow. A portion of every Watanut box goes to help kids succeed academically, model good character and lead healthy lifestyles. Also, their packaging is great! A lot of times, new companies are struggling to get off the ground and so they don’t take that extra step with packaging, notes, etc. However, Watanut has an awesome box design, and they included a custom-written note and nutritional information inside. Curry in a Hurry is a spicier more exotic mix made up of roasted salted cashews, masala peanuts, dried mango, fried green peas, and dried cranberries. With it’s mix of sweet, salty and spicy, it’s definitely an acquired taste, but I couldn’t stop eating it. I wasn’t expecting to bite into a sweet mango or cranberry after having a masala peanut, but it all somehow worked together. Hammered Oatmeal Raisin Cookie seriously tastes like the mixings to make a grandma-style, made with love cookie. I can get picky with granola due to ingredients and health-content, however this mix is delicious and contains the following ingredients: rolled oats, seedless raisins, crispy rice, granulated sugar, canola oil, honey, barley-malted, vanilla extract & salt. I was a little confused at first because this mix doesn’t contain any nuts at all but it was a nice change in comparison to the other boxes. Super Almond is the most complex, crazy mix of all of them… oh wait, just kidding. Super Almond is a container of straight-up raw almonds! Almonds are awesome for you and so I don’t mind getting this at all. I actually am considering trying to either make almond mix or grind them up to make almond flour/meal for cooking! We are Family is a straight up all –nuts mix. I think my dad was more excited when I told him what was in it– Roasted salted cashews, roasted salted almonds, roasted salted pecans, roasted salted filberts, roasted salted brazil nuts—and so I wouldn’t be surprised if I went home today and it was all gone! I personaly like nuts with a bit more flavor like honey-roasted or 5-alarm-chili-spice, but these will be a good, healthy addition to my snacking. I have to be honest though, I don’t think I’ve ever had a ‘filbert’ before so I’m interested to try this nut out. I can only wonder what their October box would bring. If I had to guess, and they go the ‘seasonal route’ it will have mixes that include ingredients such as pumpkin seeds, brown sugar, apples or cranberries and pecans. But, who knows? Those are just my guesses. Interested in ordering Watanut? Use Promo Code GONUTS25 to save 25% off your first month ($18.75 for first month, then $25 each month after) With their fast shipping, cute box packaging and delicious products, I can definitely say I recommend Watanut.